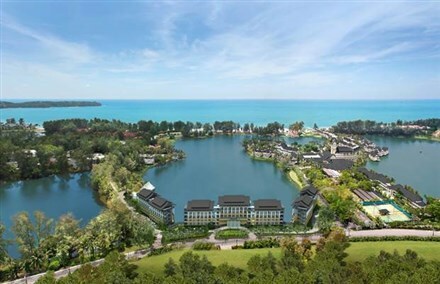 The Banyan Tree Group recently unveiled a new extension of its Angsana Hotels & Resorts brand with an investment property called Angsana Waterfront Suites, situated within Laguna Phuket. Overlooking a tropical lagoon by the Andaman Sea, the Angsana Waterfront Suites will offer investors a combination of lifestyle, capital appreciation and rental yields through a leaseback model. "The hotel serviced residences will be managed by the Angsana hospitality group," said Stuart Reading, deputy managing director of Laguna Resorts and Hotels. "In addition to rental returns through the leaseback programme, property owners will receive complimentary membership to The Sanctuary Club with privileges and discounts throughout the Group's worldwide hotels and resorts, as well as free stays in the global network of other hotel serviced residences." Access to the Angsana Laguna Phuket Resort is another selling point for the project as the resort features seven dining venues including the XANA Beach Club, the award-winning Angsana Spa, a fully kitted out fitness centre and a expansive swimming pool, as well as the signature Tree House Kids Club and a range of complimentary activities such as Yoga sessions and non-motorized water sports. The starting price for the one-bedroom fully furnished Angsana Waterfront Suites is THB10.5 million (USD305,000) and will also include 5 years membership to the Laguna Phuket Golf Club. Construction is expected to commence in late 2014 with a projected completion schedule of 24 months.